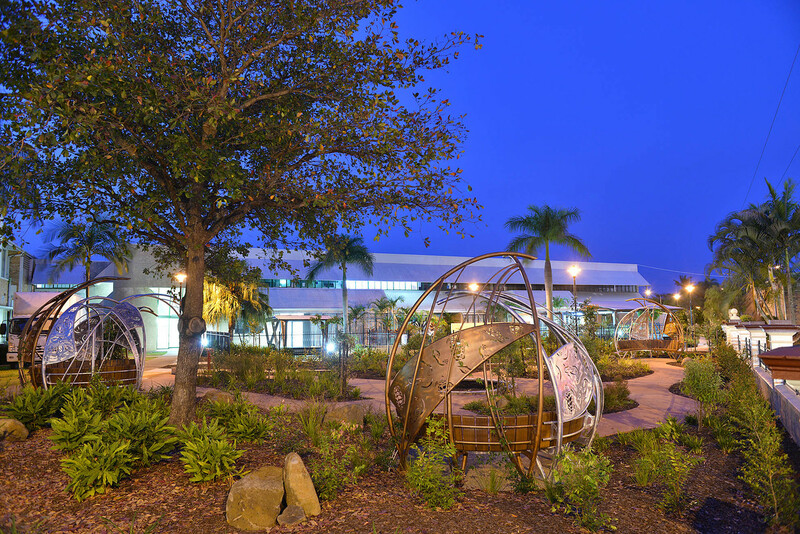 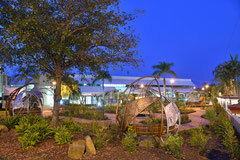 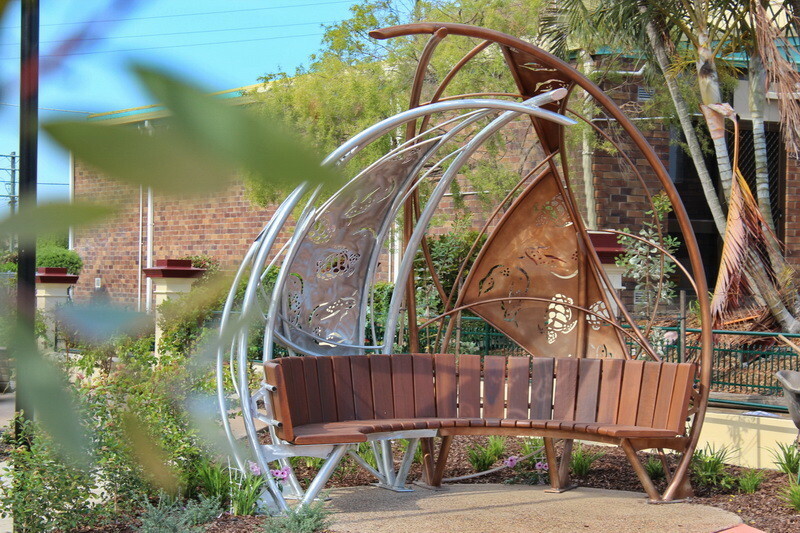 This garden provides sensory and emotional relief for patients, visitors and staff - a place of renewal. 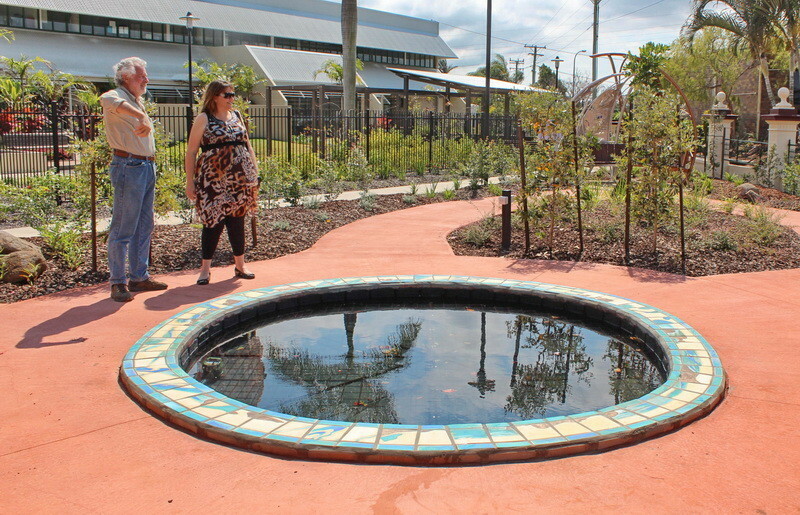 Planting includes Aboriginal medicinal plants and bush tucker, as well as continuous seasonal change in the foliage and flowers. 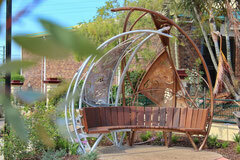 It has an endless pathway, a water feature and 3 secluded seating pods. The sculptural forms will soon diminish as the flowering, scented vines take over. 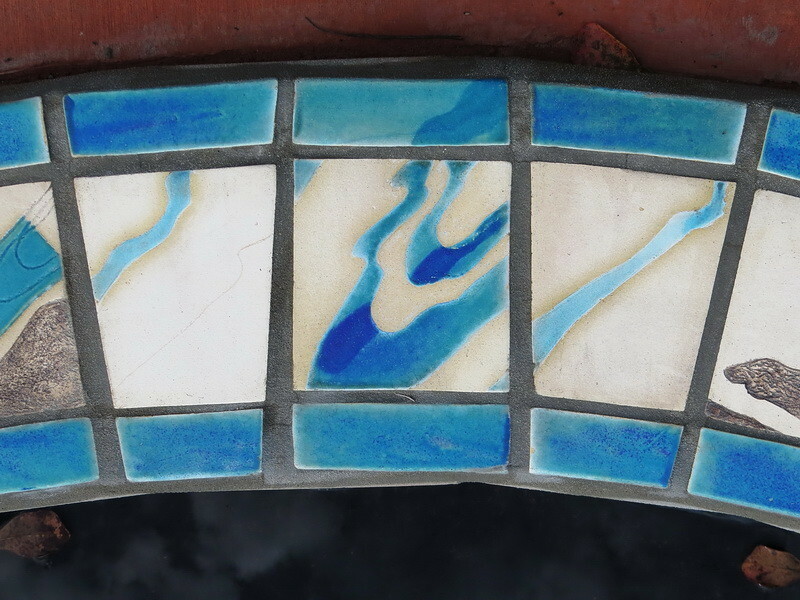 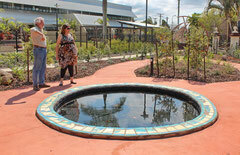 The ceramic tiles were designed and made by Ariella Anderson of Bundaberg, QLD. 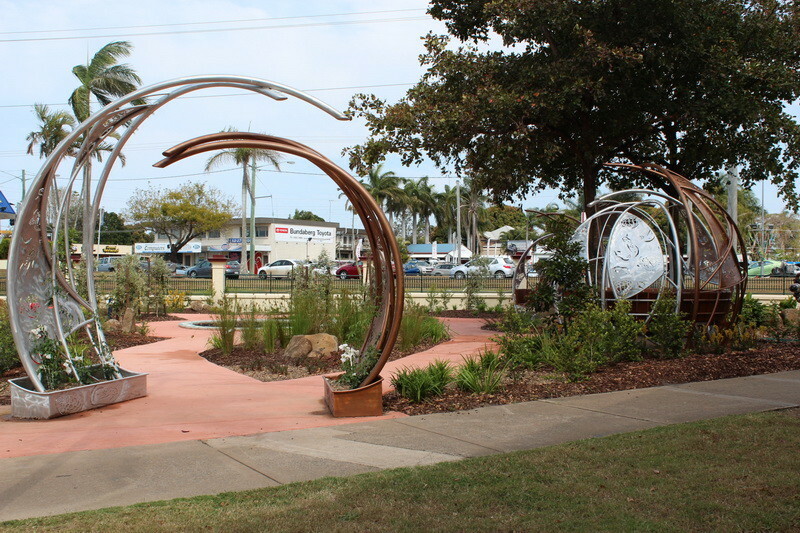 Funded by QLD State Govt, the Bundaberg Hospital and local donations. 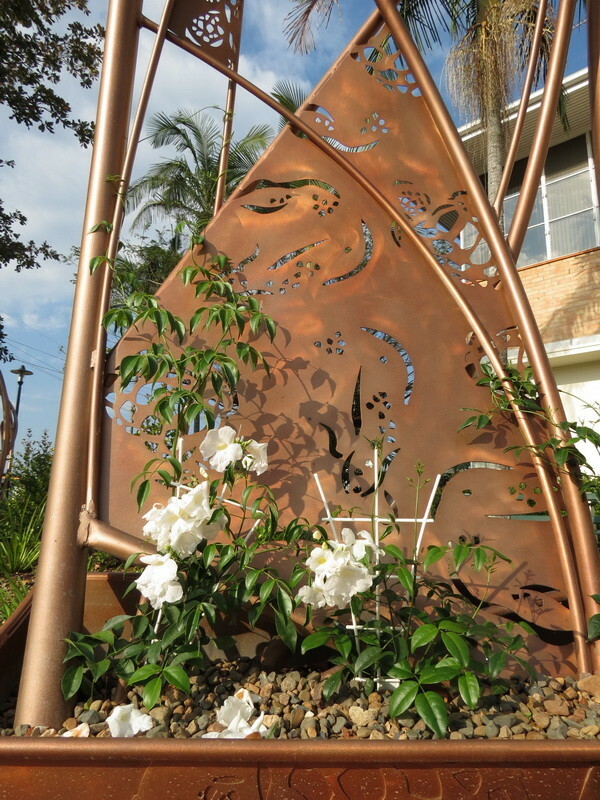 Significantly supported by Fairy Sparkle and A Touch of Paradise.